Initially, I went to Urban Decay’s website to get Naked2 palette. 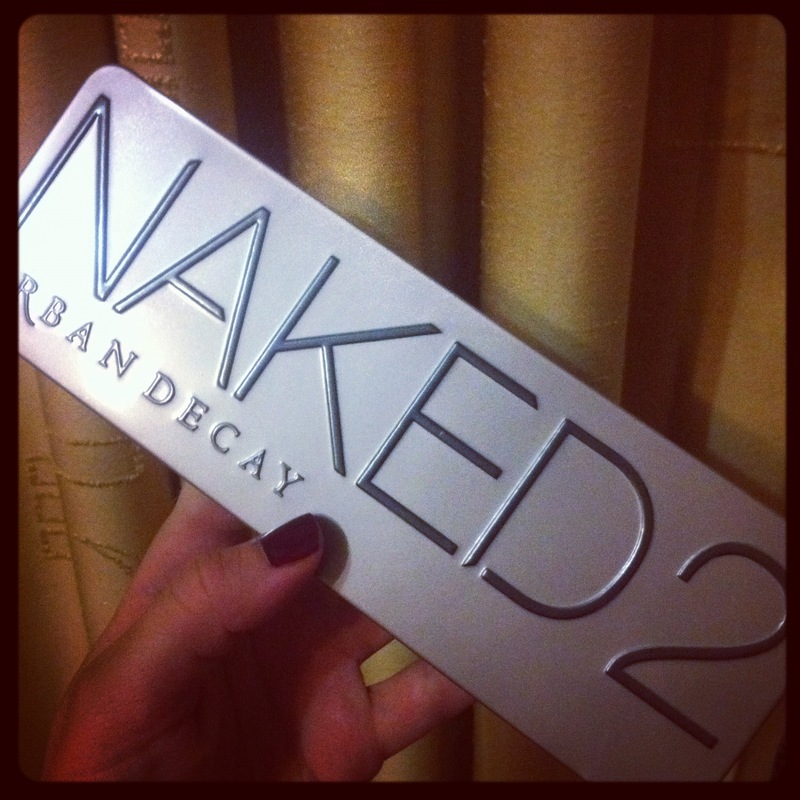 I liked it a little bit more than the original Naked palette, coz the latter has less shimmery colors. And I prefer shimmery eye shadows over matte ones. But this shimmer is very subtle, not something too much. So yeah, after I picked up the Naked2 pallete, I decided to look through the sale section. And I found so many goodies there. 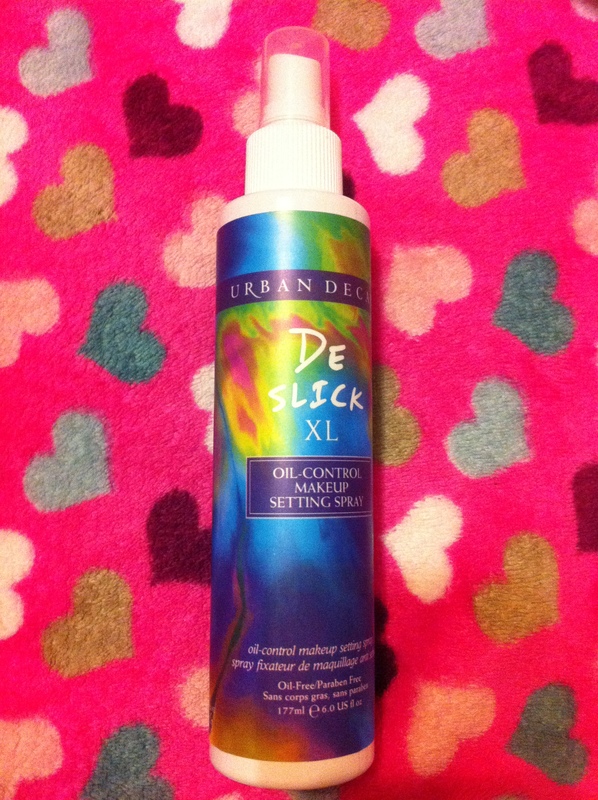 First of all, De Slick oil-control makeup setting spray. I got an XL version coz it’s bigger and it was $18 (cheaper than the small one!). Great palette! Get it and you won’t neeed any other eye shadow for a long time. 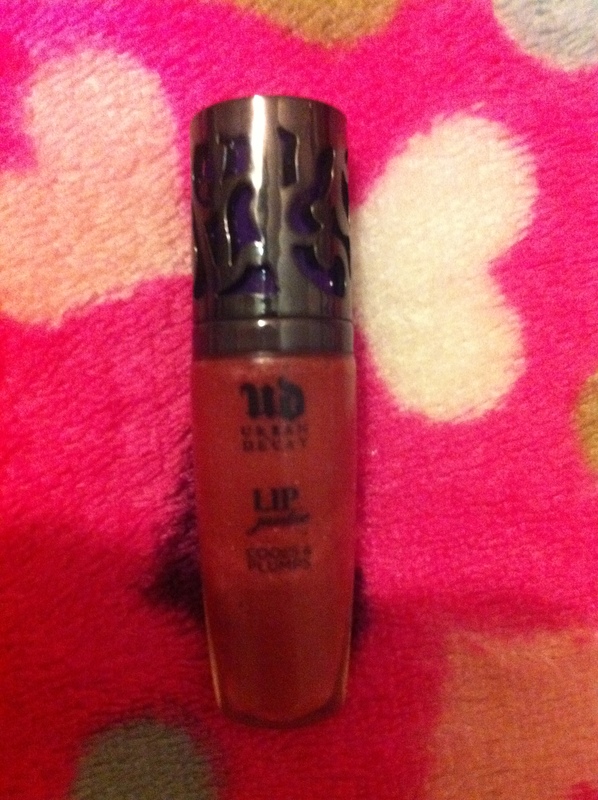 I also got a sample of lip junkee lip gloss. Amazing, I must say. Very light-weight on my lips, looks natural. And aww, how it tastes!!! It’s sweet and minty at the same time. This magic spray is a life-saver for someone like me. I had no idea what to do with my oily skin. Primers, mattifying lotions, foundations, powders, oil-control films didn’t help me that much. They would last a couple of hours, and then my face would be oily again. But this product keeps my makeup on place for up to 12 hours!!! Definitely going to re-purchase that!!! 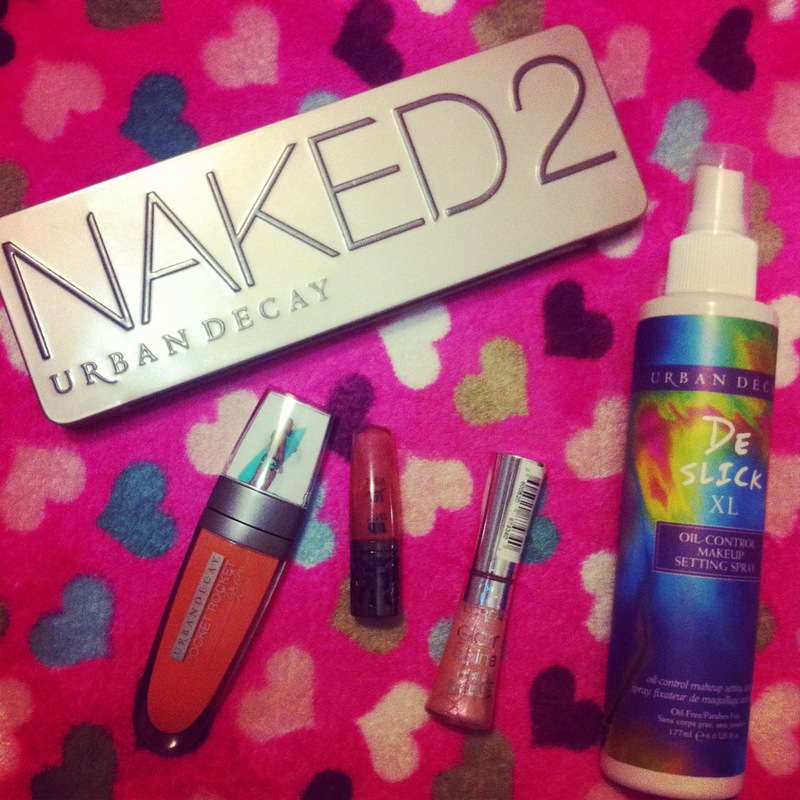 So yeah, I am very satisfied with the quality of Urban Decay. Maybe it’s a little bit pricey, but it’s a 100% worth it. I got the order for $60 (they had 20% off all online orders). Which I think is pretty affordable for all of these products. 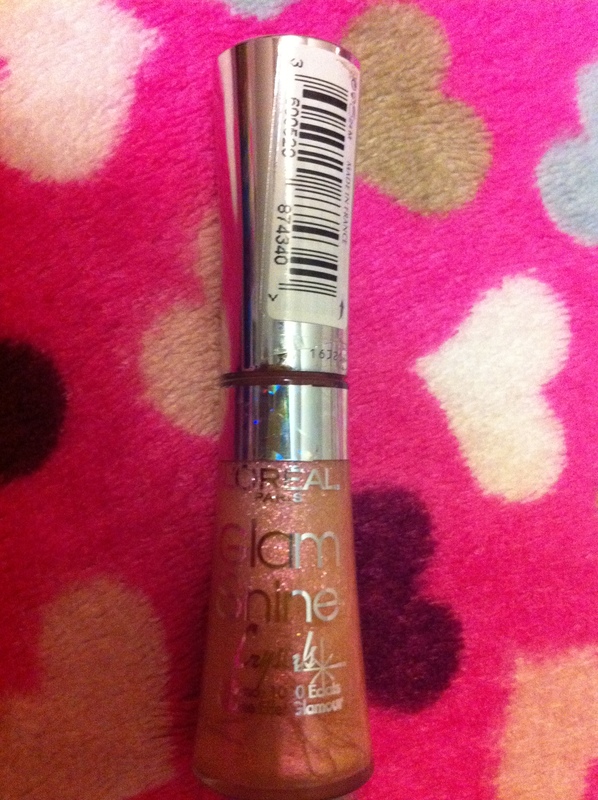 If you are wondering about the pinky lip gloss on the picture, it’s from L’oreal. My mum gave it to me the day I got my UD package, do I’ve decided to include it to this post. How fun! I love getting new makeup, and that eye palette in particular looks amazing!